How do you use a secret door? 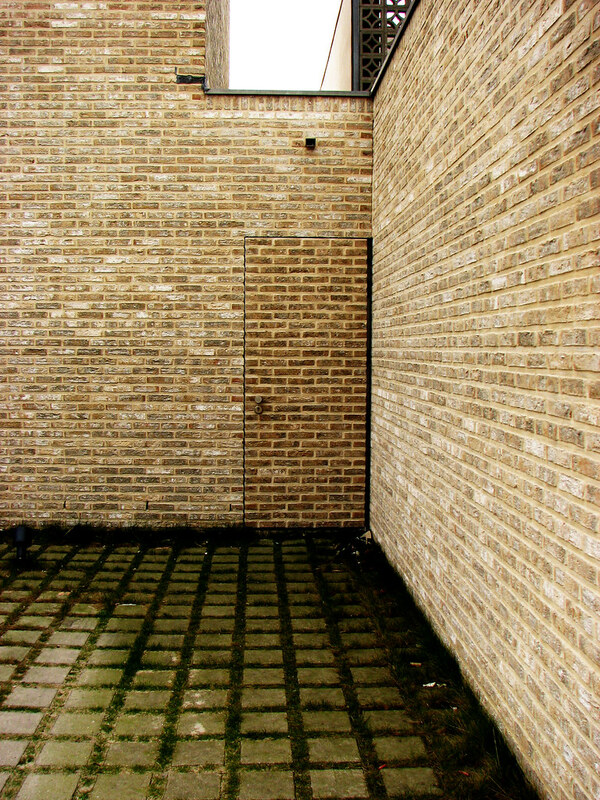 Secret doors are an opportunity for wonder, amazement, and frustration. They are the diamond of puzzles: optional, intriguing, and rewarding. But they come with unspoken rules and can be misused. The original rules for secret doors have remained almost unchanged over forty years. Secret doors and passages are not visible. Searching a 10'x10' section of wall takes a full turn. Men, Dwarves, and Hobbits discover secret doors on a roll of 1 or 2 on a six-sided die, and Elves discover them on a roll of 1-4. Elves may automatically discover secret doors they pass with a roll of 1 or 2. After that, they are just treated as normal doors. Which as we all know are immincal to player characters and only open on a roll of 1 or 2. "Caller: Okay, what does the room look like—we're examining the walls, ceiling, floor, and contents of the room itself.Referee: (After checking to see if dwarves and/or elves are in the party:) The room is a truncated pyramid. The east wall is the truncated part, directly opposite the door you entered. It is 10' long with another door in it. The walls connecting it to the west wall, the place you entered, are each about 35' long. The west wall, which is where you entered is 30' long with a door in the middle of the wall. The elf has noted that there seems to be a hollow spot near the east end of the southeast wall. The floor and ceiling seem to have nothing unusual. The room contains the bodies of the gnolls, a pile of refuse in the north corner of the west wall, and two trunks along the wall opposite the one which sounds hollow. Caller: The elf will check out the hollow sound, one of us will sort through the refuse, each trunk will be opened by one of us, and the remaining two (naming exactly who this is) will each guard a door, listening to get an advance warning if anything approaches.Referee: Another check on the hollow sound reveals a secret door which opens onto a flight of stairs down to the south. The refuse is nothing but sticks, bones, offal and old clothes. One chest is empty; the other had a poison needle on the lock. (Here a check to see if the character opening it makes his saving throw for poison.) The chest with the poison needle is full of copper pieces — appears to be about 2,000 of them." The Referee has taken the mechanical effect and turned it into a real-world situation. The elf doesn't discover a secret door, but rather a 'hollow spot' that could be anything. This is the real magic of secret doors, which is why I always design a mechanism to open a secret door within the environment. For players, this creates interest no matter how the secret door is interacted with, instead of frustration. First, the players don't discover the secret door or the trigger. They go on their way, unencumbered by any knowledge as the treasure and other rooms stay safely hidden away for future delvers. Party Experience: If you don't know you missed something you can't be upset about it. Players discover the trigger and not the door, and are amazed and surprised when a secret passage opens! Taking the extra time to come up with some triggering mechanisms for secret doors is the only additional work this requires from the Referee. I've already written an article on some basic types of secret doors here: On the Thursday Trick: 10 Basic Secret Doors for when your module or adventure has a ton of secret doors. There are rules for using these correctly also. Everything behind a secret door must be optional. Everything behind a secret door must be optional. If you've got something that's necessary for play to proceed, you shouldn't place it behind a secret door or a puzzle. I've told you three times now so you know it's true. If you commit this enormity, it's on you. * Players always want to escalate! The attempt to open the door with the die roll is exactly that. Everyone working together to try and force open the door. That's the assumption. Either it's successful, or the group has failed in their efforts to open the door. Retrying is pointless. Attempting to do this takes a full turn which assumes retrying is happening. What occurs for the entire 10 minutes they are trying to open the door? They are trying to open it! Failing the roll is a failure. "BUT!" comes the hue and cry from the players, "What if we are HUMANS and we use our WILL TO AVOID ACCEPTING REALITY". Well, fine. I'm running a game. You guys are heroes. You can bash down the door. Not kick it open, but literally bash it to pieces so it can't close on you and you can have free access to the passage. Why not? It takes longer than a turn, requires some tools that can damage wood or stone (depending) and has some side effects. Usually I have every monster in rooms within 100 or so feet show up in addition to three rolls on the wandering monster table. Sometimes they do make that choice, and it leads to exciting gameplay. After all, the monsters aren't necessarily all friendly with each other. And the question of dealing with 3+ encounters simultaneously in exchange for not taking the time to figure out how the door actually opens is a completely reasonable exchange. There are of course, caveats. It is important that you don't engage in "pixel bitching". If the secret door is opened by a button on the vertical part of a stair, and the players say "We search the area" you tell them they find a button on a vertical part of the stair. I would encourage you to recall that they do not have perfect knowledge like you do. Perhaps that button turns the stairs into a deadly slide. Providing multiple things that look like triggers, some of which are trapped, also leads to good gameplay. Very frequently just taking the turn to look around the room provides the trigger to a secret door. But that doesn't mean it's always obvious. One of the most challenging secret doors I've run is a secret door in a room with a iron chandelier on an iron chain. The room is otherwise empty. The way to open the door is simply to pull the iron chain six times. Behind the door are three keys (two trapped with yellow mold and one real golden key). The keys are optional that give players access to extra treasure. This kind of challenge for the secret door is the exception. Like encounters, some secret doors are easy (It's a swiveling wall!) with a low challenge, and some are hard. This balance is key. When running secret doors remember choice paralysis. In your mind it is easy to keep different areas of the dungeon separate. But if a player is approaching an encounter in character, this button could trigger anything in the dungeon! In order to reduce this option paralysis and keep things fun for the actual people at the table, I try to provide some guidance as to scope. Much like in a video game, if a switch/trigger doesn't do anything obvious I give some insight into what it might be affecting. I try to be rather explicit about the scope of puzzles. In the example above, for example, I always let the players know that the iron chandelier is related to the nearby door to avoid confusion or uncertainty that the real trigger might be somewhere else or that the chandelier isn't related to the secret door and is doing something unknown somewhere else in the dungeon. People don't show up to play a game to be confused and made to feel stupid. If you aren't using secret doors, you should be. Have fun with them in your game and be sure to let me know how it goes! 2 I’m 6 and 4 in 6? Is that right? Are you sure? I copied it straight from the OD&D booklets. Thank you, that is helpful. I had been playing it at 50% of those odds. I'm always curious at how seldom secret doors are stuck or locked. Well. They ARE locked. Didn't you read about the mechanisms? That doesn't mean they are locked. That mechanism is the door handle. Well, this is always a good read given that dungeons have always been my weak spot when it come to games, to the point I've neglected secret doors immensely.